Want Better ROI? Use Online Video – Here’s How. Every business wants to achieve success. But what does success look like, in real terms? To get a clear picture of whether or not a business is achieving results, you’ll need to examine the facts and figures – namely the return on your investment. 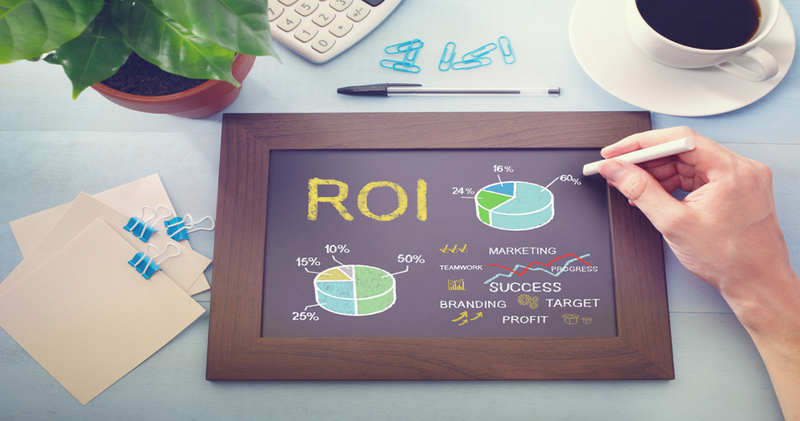 Measuring ROI demonstrates how your profits compare to your initial outlay. It also helps identify which marketing activities are effective… and which aren’t. When developing a marketing strategy, this knowledge is invaluable. The internet is in a constant state of change – and the demand for top-quality, valuable content has never been higher; throughout all stages of the consumer journey. Globally, 41% of marketers state that inbound content marketing produces significant ROI, and 82% of marketers claim that they see positive ROI from their blogs. Why is content so effective at producing great returns? Part of the reason is that it functions on many levels. Good content, whether it’s online video, an article or a photo, drives traffic through to your site. It engages people with your brand. It also boosts SEO. Best of all, it works around the clock – offering non-stop exposure for your business. It’s obvious that content marketing is an excellent tool for your business – but how can you track results? According to Hubspot, 48% of businesses judge content marketing success by the number of leads, links and social shares generated by each campaign. It’s certainly true to say that these metrics provide valuable insight. Define your goals. What are you realistically hoping to achieve? Can you quantify this – as a number of click-throughs, for example, or a certain level of sales? Leads – how many people fill out your contact form, subscribe to your email etc. Understand your tools. You’ll need to know how to measure these metrics, using analytical tools. To find out more, read this helpful article about [measuring ROI for video content]. Effective communication. Online video and especially an animated explainer video can be used to simplify even complex concepts. It’s highly visual, which resonates with the target audience; and it’s easy to engage emotionally with it. 80% of people say they’re more likely to purchase a product after watching a promotional video. Builds trust. Testimonial videos emphasise great reviews, in a highly authentic way. Explainer videos give your brand a face – which establishes trust. When people trust your business, they’re much more likely to buy from you. Higher SERP rankings. Search engines such as Google place higher value on video content, which means your online video is more likely to appear near the top of search results. Better online visibility means more sales. 60% of people prefer to access information via video content, rather than reading a plain-text article. It’s hardly surprising – animated video is visually stimulating, engaging and often entertaining! It’s also extremely versatile, and can be used at every stage of the customer journey. Here’s a brief run-through of some of the more popular forms of video for business – and how they can raise returns. Entertain and engage, whilst creating curiosity about your business. This drives people through to your website. Site Traffic, Sales Growth and Social Media – Measurements Matter! Ultimately, the only way to know whether your online video marketing strategy is working is to measure results. However, this involves more than the occasional glance at Google analytics. A comprehensive plan needs to be in place – and you should identify what metrics are useful to you, and what data represents success to your business. Online video content is a proven way to raise returns, but you’ll still need to monitor results. It’s also important to nurture the leads you develop, and use video content to guide your customer along the sales journey. Thanks for the comment! Feel free to share anything you find useful with people you think would also find it interesting!